Congratulations to Novak Djokovic who on Sunday September 13th, 2015 won his 2nd US Open and his 10th major! What an incredible feat for such an incredible athlete! Along with winning the US Open, Djokovic received a check in the amount of 3.3 million dollars! Wow! Not bad for two weeks work, right?! Haha! Well, seeing as Novak is a new dad and new husband, I thought I’d help give him some ideas on how to spend a little of that enormous prize money here at deBebians. Happy shopping, Novak and congrats again on an amazing tournament! 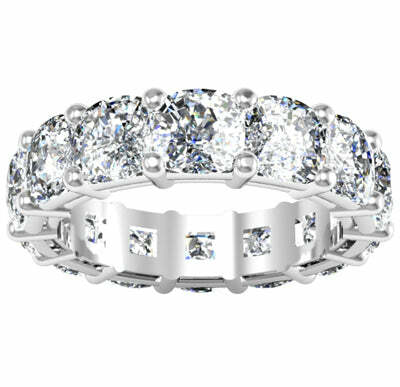 For Jelena, your beautiful bride, I thought she may like some diamonds… duh, right? What girl doesn’t love diamonds?! Being a mom myself, I know firsthand that it’s nice to wear jewelry that doesn’t interfere with day to day mom tasks. A great solution for this is a diamond eternity ring, which is why I chose our 10.00cttw cushion cut diamond anniversary eternity band. I see a lot of eternity rings with round brilliant cut diamonds and to me, I think choosing cushion cut diamonds instead of rounds gives you a similar look in terms of brilliance and sparkle, but has a more unique element. Another reason for my selecting the 10.00cttw diamond ring is to represent your 10th Grand Slam title. Another idea for Jelena would be something that she can wear every day that reminds her of your son, Stefan. We have lots of personalized jewelry gift items, but this is one of my favorites. 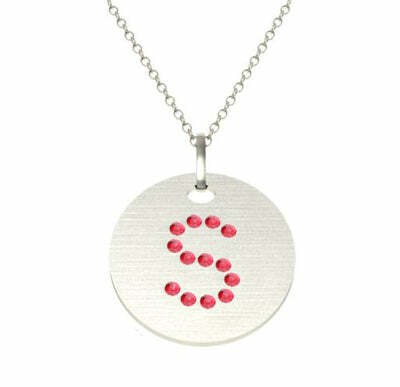 With this necklace, you have your choice of letter, which will be designed in rubies. Lots of moms wear pieces like this and the best part is that when you have more children, you can add them to this chain and wear them together. Cute, right? This is obviously tongue in cheek and mostly as a tennis fan, I wanted to give a huge shout out to Novak for winning the US Open and for being an amazing competitor. You have helped elevate the game of tennis and watching you play is incredible. Oh, and if you need some assistance with fine jewelry shopping, Novak, we’ve got you covered here at deBebians. Happy shopping to all!